A pair of 100% real Australian sheepskin boots for men from EMU Australia are a great addition to any guy’s shoe wardrobe. They’re practical, comfortable but also super stylish. Sheepskin boots are our core product and we’re really proud to be able to offer our bestsellers in sizes for men. We pride ourselves on using natural materials of the highest quality, and our sheepskin is water resistant so our boots are ideal to wear all year round. Our sheepskin boots for men come in our classic colors, such as tan, brown, gray and black. Our sheepskin boots for men are great to wear for so many occasions. Our 100% real Australian sheepskin is super breathable, meaning not only does it keep your feet really toasty, warm and dry in the winter months when it’s cold and icy out, but the fabric wicks away moisture to leave feet cool in warmer summer months too. EMU Australia sheepskin boots for men are also water resistant, so they can be worn to protect feet from summer or winter drizzle. They’re also ideal for traveling since they can be worn in warm or cold weather, and are a super practical and comfy choice as they’re so easy to slip on and off. Our sheepskin boots for men are fully lined with Australian wool and sheepskin for the ultimate in comfortable luxury, and the anatomically correct upper sole in many styles is also removable. Whether you choose our classic and original mid calf sheepskin boots for men, or a higher or lower height style in colors like tan, brown or black, you’ll always feel the EMU difference. All of our 100% real Australian sheepskin boots for men are produced using only the highest quality, natural materials, so you can be sure they’re an investment well worth making, as they’re super durable and long-lasting. 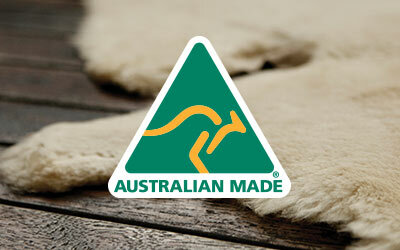 All of our sheepskin boots for men are also Woolmark accredited. The rubber outsoles of our classic sheepskin boots for guys are durable and hard, but also really flexible so they offer the ultimate in comfort, plus they have a wave design for added traction and grip.They’re also anatomically designed, so they flex with the movement of your feet. Our sheepskin boots for men have superior double stitched seams for added strength and durability. At EMU Australia we pride ourselves on creating luxury and superior quality sheepskin boots, that also offer second to none on quality and comfort.